A month ago, I took some time to check out the ongoing development because the number of show-stopping bugs had almost gone down to zero. I refreshed many internal support libraries, polished the vlc.SlackBuild and tested a git version of the player. Looked good! Most of the open bugs and remaining things to be done were not relevant to Linux anyway. Therefore it took no time at all to build packages for the official 2.2.0 release once that was announced yesterday afternoon. I had a busy saturday, so the blog post took a while, but those of you who check the repository’s RSS feeds or are using slackpkg+ will already have seen the new packages yesterday. But under the hood there’s a lot more going on than these buzzwords can do justice. The team have indeed delivered a tremendous job. considering that this is an all-volunteer project. Note that I only built packages for Slackware 14.1 & -current. I stopped creating packages for Slackware 14.0 and earlier because of the effort it takes to build 4 packages for every Slackware release. One remark: I compiled the packages on Slackware 14.1 which is the cause of one bug in the package if you use it on Slackware-current: the ProjectM visualisation plugin does not work because of a libGLEW library version error. I have not yet been able to find a fix for it, but the impact is fairly minor so I let it pass. nice enough, on the official site, in the pre built packages for various linux systems. The slackware download options points to your packages Mr Eric. Also the warning about patents and the link to the restritect packages. Good to see your work recognized outside slackware community. Thanks Eric! I love VLC. 00007f7fba9ea108] avcodec decoder: Using NVIDIA VDPAU Driver Shared Library 340.24 Wed Jul 2 15:07:37 PDT 2014 for hardware decoding. If that modification to the SlackBuild script make it work for you then I must certainly look into it. If it still works for me too, it is a good bug fix for hybrid card users. manciuleas, I rebuilt the 64-bit vlc package with the changes you proposed, and hardware video decoding still works here. Do you want to try this package and report your findings? You can find the new vlc package at http://taper.alienbase.nl/pool/ (it comes with an .asc file so you can do a gpg check to verify it is actually mine). Unfortunately the package you provided didn’t work for me. The VA-API X11 module could not be loaded because of missing symbols. I wonder what could be different between our environments as I used your sources and build script with the change I mentioned. manciuleas – what are the exact error messages you are getting? And what do you exactly enable in the player? It’s the same message I got before recompiling your sources with my change. One way to avoid the missing symbol error message without recompiling is to LD_PRELOAD libXFixes, libXext and libdrm. 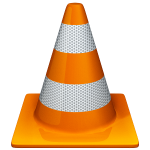 I am rebuilding vlc now and will let you know when I have refreshed the package. I’m more of an mplayer guy myself, but VLC comes handy from time to time so I keep it installed. can you try out this package and report your findings again? tomjas if the script exits there you will probably have modified my vlc.SlackBuild. Now HW decoding works fine. Note to interested users having Intel integrated video that one must set the VA VAPI X11 driver explicitly in the VLC settings. Also, the VA-API drivers must be installed as well. Do you have any news regarding the suspend/resume issue? Thanks for testing the vlc package, I will upload these to my repository. I have not had time to look at my KDE 5 issues this week. Too much going on at work. Yes, you’re right, my bad. Thanks, Eric. I did a fresh install for VLC. The only trick I have to do is that I need to choose sound output device from Audio –> Audio Device –> My output device. The default setting is disable all sample(playback). Lee, unfortunately that is a VLC default choice, not mine. Once you pick ALSA it will be remembered. It stumped me the first time too… no sound! Why? Until I checked the preferences. alienbob – never changed your slackbuild. To be sure just downloaded again and there is the same failure. Doesn’t disable xlock even if the option “Disable screensaver” is on. tomjas – the real compilation error is probably somewhere before the part that you showed here. Check the log of your compilation for other errors. Just wanted to let you know that I had the same problem as manciuleas and the updated package fixed the problem. This is with a laptop using the NVIDIA binary blob.